Freedom Wars opens at 188,888 sales. 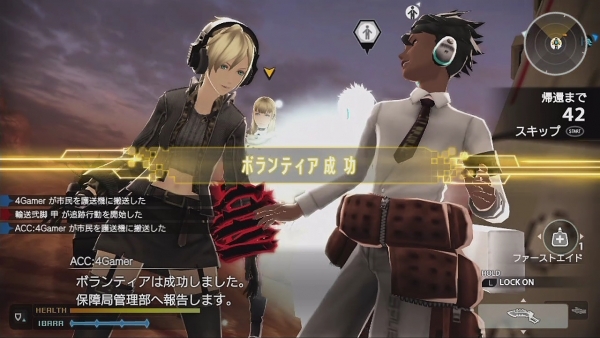 Freedom Wars tops this week’s Japanese sales chart. The SCE Japan Studio, Shift, and Dimps-made PS Vita action RPG opened at 188,888 sales. Following Freedom Wars, the PlayStation 4 version of Watch Dogs opened over 63,000 sales, with the PlayStation 3 version following down the chart at 31,000 units. Other new releases this week include Kamen Rider: Battride War II, which sold nearly 70,000 across its PlayStation 3 and Wii U SKUs, and Taiko Drum Master: Don and Katsu’s Space-Time Great Adventure for 3DS, which opened at 53,000 sales. On the hardware side, Freedom Wars gave PS Vita a 10,000 unit boost. Sales for other consoles remained similar to last week’s.